Whether you're a thrifty shooter with a new-to-you Glock 22 or a USPSA veteran knocking the rust off of your limited rig, this 1000 round bulk pack of Blazer Brass will keep your range bag full for many sessions to come. 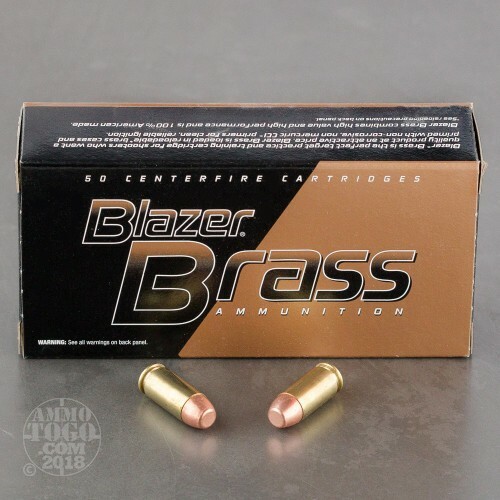 Blazer Brass is a brand of CCI and is assembled using premium components including reloadable brass casings, non-corrosive CCI Boxer primers, and 180 grain Speer full metal jacket (FMJ) projectiles. Blazer Brass FMJ bullets also have a projected base which prevents lead from contacting hot gases in order to protect both handgun and shooter from excess lead fouling. 180 grains is on the heavier side of the .40 Smith & Wesson caliber and matches a large variety of defensive and competitive loads so that you can practice to your level of intended performance. 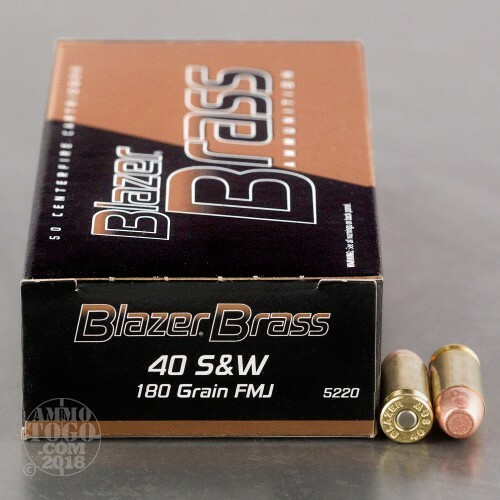 Blazer Brass is made in Idaho and is well known among shooters as a reliable, economical choice for practice and plinking.